After months of working to integrate Virgin America into its system, Alaska Airlines has finally set a date for the end of Virgin’s identity as far as its flights are concerned. As of April 25, 2018, customers will no longer be able to book Virgin America flights under that identity, according to a report in FlightGlobal.com, which said it learned of the date from an internal Alaska Airlines memo and subsequently confirmed it with the company. 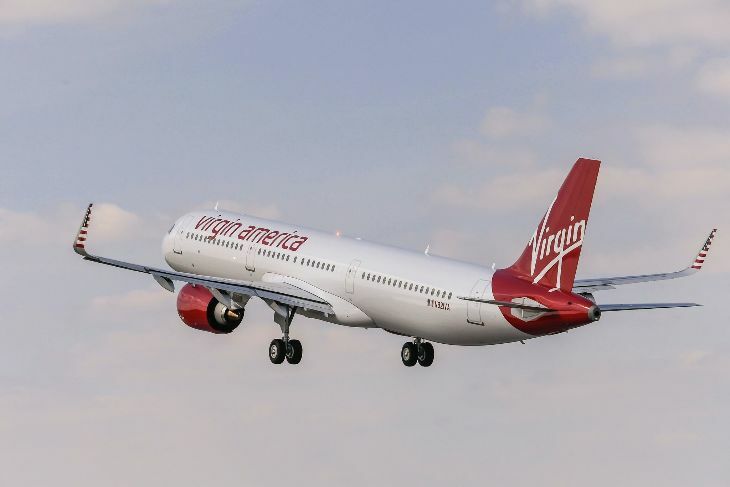 Starting on that date, flights operated by Virgin’s fleet of Airbus single-aisle A320-family planes will be listed as Alaska Airlines flights, and users of Virgin’s app or website will be redirected to the Alaska Airlines website. The A320 flights are currently bookable through Alaska’s website, but are listed as Virgin America flights. The company expects to bring Alaska and Virgin together under a single operating certificate starting January 11 of next year. Meanwhile, American Express has notified cardholders that Virgin America will no longer be a part of its Membership Rewards program effective November 1 of this year. 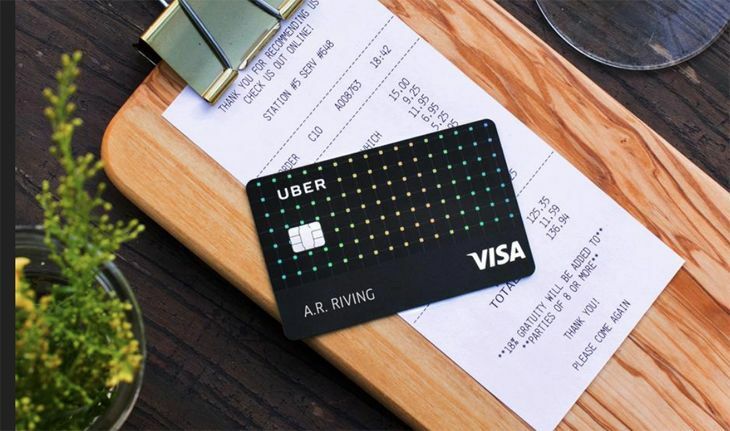 As of that date, “members will no longer be able to transfer Membership Rewards points to a Virgin America Elevate account,” AmEx said. Transfers made before that date will still be honored, the company said in a mailing to members. IT’S BACK. 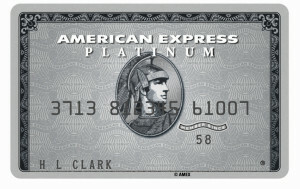 AMEX OFFERING FAT SKYMILES BONUS. Through May 31, members of American Express Membership Rewards who transfer points to Delta SkyMiles earn a 50 percent bonus. Register online. It gets better: If you move at least 50,000 Membership Rewards points to SkyMiles, you also get a one-time bonus of 25,000 Medallion Qualification Miles (MQMs). That’s instant Silver Medallion status, meaning waived bag fees, the occasional upgrade, and early (ish) boarding. That’s a total of 75K SkyMiles if you transfer a minimum of 50K MR points. (Note: This offer is only eligible to first-time users of this transfer option.) This is the biggest and best offer that AMEX has run lately, so if you’ve been thinking about transferring to Delta from AMEX, now is the time to do it! FAST TRACK TO MEDALLION. 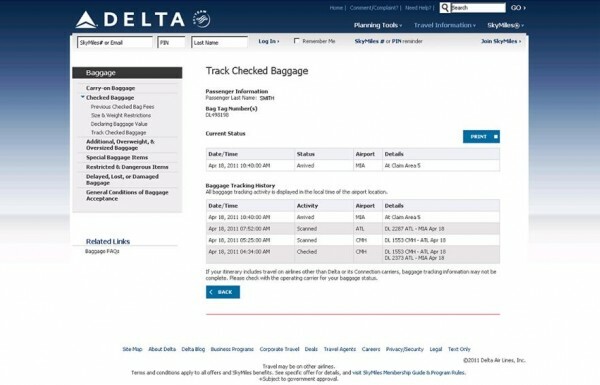 Delta has sent out targeted offers to many Medallion members who have had slower than normal travel patterns this year. The offers are meant only for the recipient of the email and encourage a specified number of flights within a certain time period to earn double miles. Flights beyond that specified amount earn a mileage bonus for every flight ranging from 50 to 100 percent. It varies for each member (and remember, not everyone receives the offer), so be sure to check your spam or junk folders for any emails from Delta. You could be missing out on lots of miles! GET NEWS LIKE THIS FASTER! Are you signed up for our Facebook and Twitter feeds yet? If not, WHY NOT? It’s a great way to keep up with news like this. Come on! Follow us and Like us! DELTA ON TWITTER. You’ve heard us proclaim the benefits of Delta’s Twitter team @DeltaAssist, and we’ve been following the comments from frequent users on Facebook and Twitter. Recently, TICKET contributor Ramsey Qubein experienced the service first hand and is hooked. While traveling in India, he was trying to confirm a ticket he had on hold, but delta.com was not cooperating. With no access to an affordable phone line, he turned to Twitter. Within minutes of sending a Tweet to @DeltaAssist at 6am ET, he had a response. Within ten minutes, his problem was solved. The social media team at Delta has almost a dozen staff members monitoring the various online channels to help travelers. If you find yourself stuck, without a phone, or at the end of your rope, give it a try! DELTA DIAMOND UPGRADES. At a recent travel industry conference in Atlanta, SkyMiles chief Jeff Robertson said that Delta Diamond Medallions get upgraded 94 percent of the time. BONJOUR PARIS! This summer, Delta and Air France will each offer two daily roundtrips between ATL and Paris CDG (for a total of four). Air France will add its second rotation on March 27, while Delta will introduce its additional flight June 1. Atlanta and Paris are two of SkyTeam’s biggest and busiest hubs– last year saw 126,000 passengers who traveled exclusively between the two cities, 65 per cent of whom traveled on Delta. That’s a lot of baguette and cheese-loving traffic. With that much lift between the two cities, travelers should have a better chance for more award seats this summer (especially on Air France, which seems to offer more award availability than Delta on this route). Keep checking delta.com since Air France awards are made available on the site. DELTA AT LAX. Delta is spreading its wings further at Los Angeles International in an effort to gain a stronger foothold on the West Coast. Beefed up schedules mean flights will operate almost hourly between LA and San Francisco and LA and Las Vegas. These highly competitive routes have lots of strong competition so expect fares to be lower than usual this summer. By July 1, Delta Connection will fly 11 times daily between LAX and SFO. The CRJ700 and CRJ900 Barbie jets plying the route are equipped with First Class. Delta and Delta Connection will operate nine flights between LAX and Sin City. Nearly a million people travel between these two cities every year so there should be enough business for all of the airlines to share. Significant connecting traffic from Delta’s Tokyo-Los Angeles flight keeps this route busy; Asian travelers love Las Vegas (Baby)! TRANSATLANTIC SUMMER: If you are considering a summer trip across the pond, now’s the time to make a decision. Ticket prices are getting painfully high, but there are some ways to skirt them if you are flexible. Plus there are plenty of business class deals to be had. To learn more, be sure to read TICKET editor Chris McGinnis’ latest BBC.com column Transatlantic Summer Travel. DELTA CUTBACKS. While Delta is full steam ahead in certain markets, world events are slowing its growth in others. This month, Delta has announced the discontinuation of nonstop flights from JFK to Cairo and Amman, Jordan due to political unrest. Previously, Delta had discontinued the Cairo flight for a few months, but now both routes are gone indefinitely. Check your reservations if you had plans to travel there. Delta is rebooking passengers on Air France/KLM flights or offering refunds. Also on the decline are load factors to Tokyo Haneda due to the recent earthquake, tsunami and lingering concerns about radiation. For now, Delta has suspended flights to Haneda until June due to low bookings. SKYMILES MAKES IT RIGHT. A recent post on The TICKET included mention of a SkyMiles bonus program that we said applied to both mileage transfers and mileage gifts. It ends up that it only applied to mileage gifts. However, one longtime TICKET reader transferred miles based on our advice, but never got his bonus due to this technicality. Since it was our mistake that got him in the mess to begin with, we took our issue to our Delta SkyMiles contacts, who graciously made an exception in this case, and offered up the bonus miles to this TICKET reader. Thank you for going above and beyond, Delta! DELTA CRJ GETS CLIPPED AND SPUN AROUND BY AIR FRANCE A380. In case you missed the 30-second video of this mishap at New York JFK last month, here it is. A Delta CRJ waiting on the taxiway gets pushed around by an Air France behemoth. Scary! HEARTH TO HEARTH. Delta’s recent merger with Northwest has resulted in a melding of styles among Sky Clubs. Both airlines had lounges that had been renovated recently while others were sorely lagging in pizzazz. Northwest, especially, had some 1980s relics (Clubs at LaGuardia and SFO were certainly retro throwbacks). But Northwest clubs had something Delta’s did not: fireplaces, which Sky Club members can now find in Detroit, Minneapolis/St. Paul, Chicago, Memphis and San Francisco. SHOWERLESS IN SEATTLE? From TICKET reader SG: “Delta has had a nonstop flight between to SEA and Osaka/Kansai for over a year. I have repeatedly asked the Delta lounge staff when the facility plans to install showers for passengers coming through after a 10-hour flight across the Pacific. There has been no response. Narita has showers. Atlanta has showers. Showers at these end points are not as useful because there is no time to take advantage of the service. Many SEA connections have a three-hour layover, presumably because of the need to pass through U.S. immigration. It would be nice to have a chance to take a shower. Might you be able to give the DL corporate managers this clue on how to vastly improve passenger satisfaction? Other lounges are receiving a makeover; why not SEA?” ANSWER: Delta is building a brand new Sky Club in Seattle’s South Terminal to replace the aged ex-Northwest World Club. The new club will be over 8,100 square feet with seating for more than 150 members and guests. It should be open by the summer of 2011. The new club will also include two shower suites and a contemporary interior design similar to the new Delta Sky Club elements as recently introduced in Philadelphia, Indianapolis, Los Angeles, Minneapolis and Atlanta (B-10). HOW ARE WE DOING? We live for reader feedback at The TICKET. So please, let us know what you think! How are we doing? What’s good about The TICKET? What’s not so good? What could we do to improve it? What did you learn in this issue? How has The TICKET improved your life as a frequent traveler? LET US KNOW!! FREE BAGS ON ALASKA AIR. Delta Medallion members (including Silvers) no longer pay fees on the first two checked bags on Alaska Airlines flights. Currently you have to show your SkyMiles credentials to a counter agent to get the fee waived, but Delta says it’s working on providing the waiver automatically at online check-in, or at Alaska Air kiosks. Another reason to keep that Medallion credential in your wallet! DELTA BRINGS WI-FI TO REGIONAL JETS. Delta is bringing wireless Internet access to its fleet of 70-90 passenger EMB-170, CRJ-700 and CRJ-900 Delta Connection aircraft. This industry first for a U.S. carrier will help ease the pain of flying on those smaller, cute-but-cramped “Barbie jets” (as we like to call them around here). Anyway, don’t expect to enjoy the free Wi-Fi that Google is offering during the holiday season on Delta mainline flights. Retrofits will begin next month and should take all year to complete as each aircraft takes its turn getting the antennas. As of now, each of Delta’s mainline aircraft is fitted with wireless Internet. Both Air Tran and Delta offer 100 percent Wi-Fi equipped planes keeping Atlanta travelers connected in the air. I’m glad to know that Wi-Fi’s an option on Delta’s RJs, but I rarely use it for flights less than two hours. And have you tried to open up and work on a laptop on a Barbie jet? Maybe Delta’s doing this for those using tablets and PDAs… What do YOU think? Leave your comments below. DELTA PREMIUM ECONOMY. As reported earlier in The TICKET, Delta is reportedly introducing a new premium economy product on its international aircraft. More rumors have emerged hinting that it will be closer to United’s Economy Plus product rather than a separate cabin with individual service– with more leg room, but no different than the rest of the economy cabin. While details are still being fleshed out, it’s certain that there will be a slight premium to purchase these seats, but Delta’s Medallion and SkyTeam Elite/Elite Plus members will likely be able to select seats in these rows without a fee. CONTRIBUTE TO TO A CAUSE, EARN MQM MILES. Check this out! SkyMiles members hoping to top off accounts with Medallion Qualifying Miles this year can donate to a variety of causes, including AID Atlanta, and earn 2500-5000 MQMs. Not bad! Details. DOUBLE SKYMILES ACROSS THE ATLANTIC. Bonus SkyMiles abound this winter especially for international travelers. To celebrate Delta’s joint venture with Air France-KLM and Alitalia, it’s offering double miles no matter what class of service is flown. Registration is required: https://www.delta.com/pet/transatlanticdouble/pet/main. Routes include JFK-Brussels, Barcelona, Frankfurt, Madrid, and Manchester; Dallas/Ft. Worth-Amsterdam; Houston-Amsterdam and Paris; and Seattle-Paris among others. You might have to take a circuitous route, but you’ll rack up miles twice as fast on transatlantic trips thanks to this excellent deal. GOLD MEDALLION = SKYTEAM ELITE PLUS. Delta insiders have told The TICKET that it will be making a major change to the Gold Medallion frequent flyer elite level in March 2011 when it elevates the tier to SkyTeam Elite Plus status. This puts SkyTeam in line with other alliances like Star Alliance, which consider flyers with 50,000 annual miles to be in their alliance’s highest tier. Privileges of SkyTeam Elite Plus include increased baggage allowance with some carriers and access to any SkyTeam carrier’s lounge when traveling on an international SkyTeam ticket (no matter the class of service). NOTE: Remember to always carry your Medallion card as it is required to gain entry in conjunction with a same-day departing SkyTeam boarding pass. NEW “LITE” VERSION OF SKY CLUB? Rumors are in the air about a new concept dubbed “Sky Club Lite,” which would be a scaled-down version of the existing Sky Club product in cities that may not be able to justify the expense of a full-service Sky Club. While still under consideration, the club will most likely be “unmanned,” and offer a self-service drink and snack station. No decisions have been made regarding what the product would be and how it would be accessed if implemented. Fifteen airports across the system are reportedly under consideration for the offering, but no official date has been set for a decision. This concept was in use in the 1980s when airlines offered private club rooms to premium customers who accessed them by entering a pin code at the door. SKY CLUB COMING TO ATL CONCOURSE D. Sky Club members have something else to look forward to in the coming year: Delta is apparently building a Sky Club in ATL’s D Concourse. The concourse is served by Delta Connection regional jets, and is the only terminal at the airport that lacks a SkyClub. Previously, passengers had no lounge option when flying from D gates, but the new club will provide a self-service bar and snack stations. The club will be located on the ground level near departure gates, but no completion date has been set. HIGH TECH GATE GRUB AT JFK. Delta has installed special iPad kiosks near boarding gates 15, 21 and 22 at JFK that allow passengers to place orders at various gourmet eateries in the terminal for guaranteed delivery within ten minutes at the gate. Special seating areas near the gate feature charging stations and allow you to enjoy an expedited meal near the gate rather than take too much time in the actual restaurant. Expect similar service at New York LaGuardia (gates 1 and 2) sometime next spring. CAR SERVICE IN NYC. Nothing is worse than flying up to NYC during the winter and facing an hour-long wait in a taxicab queue. At this time of year, we ALWAYS use a car service. The cheapest one with the most reliable service that we’ve used over the years: Dial 7. Memorize its number: 212-777-7777. 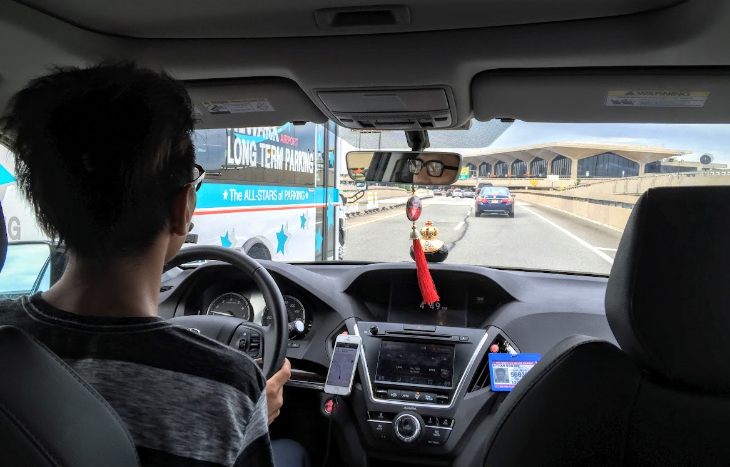 Rates from airport to city typically run only $5 or so more than taxi fares. Cars are not always brand new and shiny, but they get the job done. Many times you can call as soon as you land and get a car at the last minute, but we recommend a reservation. DO YOU USE A CAR SERVICE? If you’d like to recommend others, please do so in the comments box below. DELTA EXPANDING OUT WEST. Delta is boosting its point-to-point network further with the addition of B737 nonstop flights between Las Vegas and Orange County beginning in January. NEW SKYTEAM PARTNERS. In 2012 both Garuda Indonesia and Aerolineas Argentinas will join the SkyTeam alliance. Despite a spotty safety record, Garuda has made a big turnaround recently and was named the “World’s Most Improved Airline” in 2010 by SkyTrax. It’s been a somewhat bumpy ride for Aerolineas Argentinas in recent years, too, which lead to a nationalization (and stabilization) of the carrier two years ago. VIETNAM? ROMANIA? GET A BONUS. Speaking of SkyTeam, travelers flying on two of the alliance’s newest members, Vietnam Airlines and TAROM Romanian Airlines, can take advantage of a unique promotion that offers 3,000 bonus SkyMiles for your first roundtrip international flight on either of the airlines. Registration is required at https://www.delta.com/pet/tarombonus/pet/main for TAROM and https://www.delta.com/pet/vietnambonus/pet/main for Vietnam Airlines. Both members joined the alliance this past summer and offer excellent award availability for those looking to redeem frequent flyer miles. Unfortunately, the only way to find out which flights are available for award redemption is by calling Delta directly as delta.com does include these partners yet.